Let me start off by saying I doubt one person out there will take the time or be able to follow this. But if someone could, that person would find it pretty amazing and mind-blowing stuff and find a fruitful field of mathematical clues to track in EDL's works. In another thread I mentioned that THE Heavens 395 and THE Earth 296 are in the line number totals of 3 of his works.. This is an overalapping at the 153 of Heavens and Earth... 143, 153, 1, 241... 296 and 395. Now.. I wondered if the parenthesis line numbers could divide the work or the 3 works into some ratio such as PHI or the golden mean. I found instead that they amazingly follow PI. This is squaring the circle. .. or the relationship of the radii and diameters to the circumference and semi-circle arcs. Here is the illustrations I drew that should be self-explanatory if you study them carefully. Notice the yellow lines.. in MVA there is 2.. and I show two illustrations of what happens when you use each of these lines as break points for the 143 lines of MVA. Notice that each of the numbers of this sequence is formed by multiplying the previous number by PI. 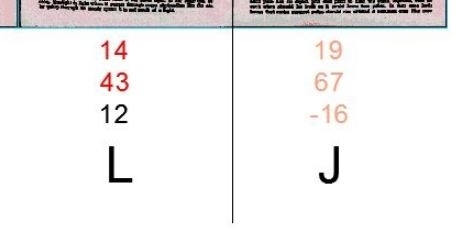 Notice that there is at least 2 pair of mirrored numbers also: 49/94 and 143/341. Now, I will show you why this is amazingly important. It involves ancient PI of 22/7. 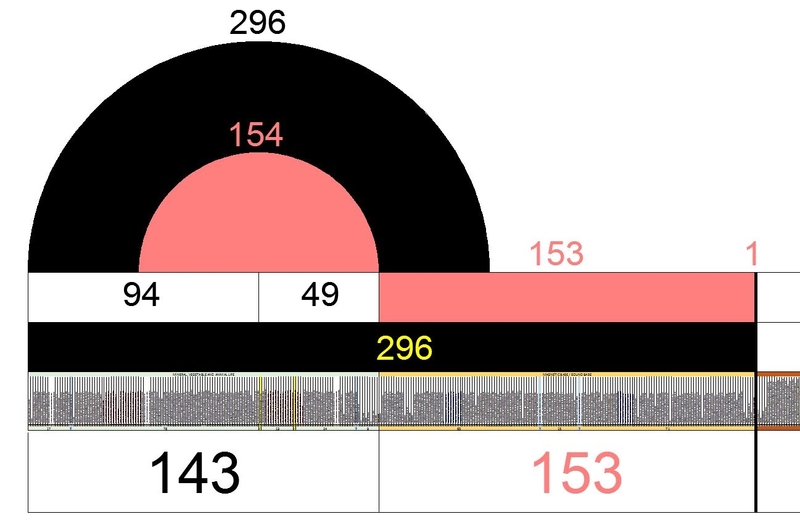 You see these numbers in the sequences above. Now look at them here and how it also relates to the 22 numbers of the Hebrew Alphabet. Above, you see two sets of 7 numbers that are consecutive numbers in the prime sequence.. total 143 and 341. 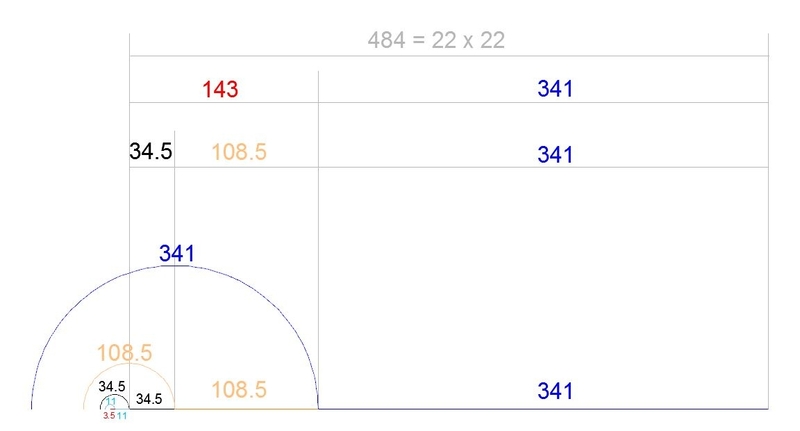 The 484 is 22 squared. Also in many other threads I've shown the 4 Hebrew directions related to these consecutive sums of 1 to 22 to 1. It ALL is tying together. 188 + 1 = 189 spacing between end of NA and parenthesis line. So, one question is.. did EDL put these punctuation totals ONLY to point to the 6 parenthesis or 6 question marks? Or is there other hidden codes to be found with these? Why only 284 commas? Add 1 comma per page and you get 296 commas and 296 periods... the other punctuation marks bringing either total up to 395...if you subtract the 6. I feel like I've already shared too much here for 99.99% of anyone else on this planet to follow from recent and past experience. So, I will stop for now. If you don't understand something please ask and I promise I'll illustrate or explain to help you understand it.. if I know the answer. Obviously, with a little thought, one might also ask what story EDL is trying to share with these parenthesis and placements? Does it relate to magnetic current? Does it relate to something else? Is it total paradolia or coincidence on my part? That would be the easiest avenue for a lazy person to take. The 4,7,7,4 prime sums above equals 17, 143, 341, 290. Notice once again if you add the +1 you get 291 at the end. This is the root of "erets" or "earth". 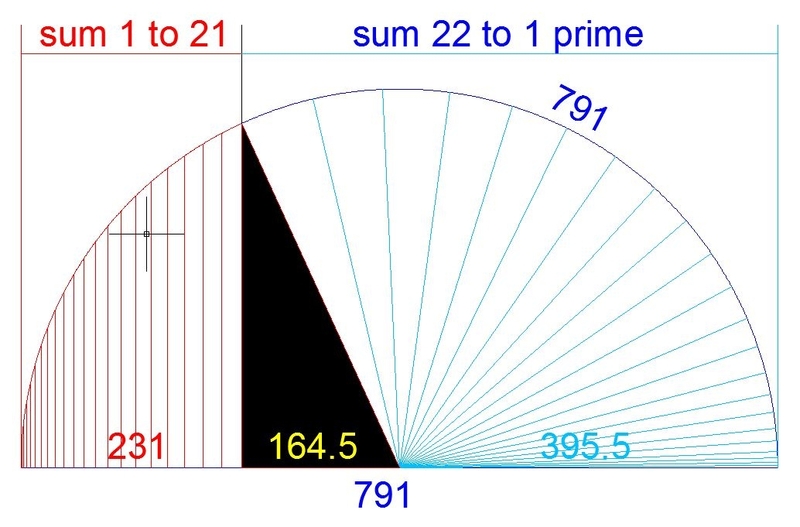 Then also notice if you add the 23rd next prime in line.. you get 373.. and add the first 4 primes you now have 390... the root of "heavens".. .or "shamayim". If you take the consecutive sums of all the primes and divide by the same consecutive sums of all the index numbers.. you will see that 22 is the ONLY place that crosses at a PI relationship in ALL of the series of primes. Also, remember that ANCIENT PI was 22/7. This is VERY amazing things that I cannot find mentioned on the internet so far. If anyone could glimpse what I'm seeing with it anyway. I think of this paragraph as one of ED's geometry riddles. There is 115 degrees longitude of Earth is 260 miles "in rough estimation". Well, I think what he's pointing to is equivalent to 2 Radians. This is the radial distance of a circle that is equal to its diameter... 114.59 degrees... rounded up to 115 degrees. This is shown below. Now look at a circle of diameter 484 units. It is very close to the same 143/341 division in the prime numbers.. but rather it is off by 1.7 units.. 141.3 / 342.7. This could explain the 2 line offset on the NA side of the 341 lines of text.. where 188 is 189.. and if you go to the center of the 2 parenthesis lines in NA.. it would be 190. Thus, off by somewhere between 1 and 2. It's a perfect fit. EDL is showing us this with his parenthesis and line numbers of text in his 3 works that go together like puzzle pieces. If you continue EDL's geometry problem of 2 radians on earth whose arc distance is 260 miles.. the diameter of the latitude circle of the earth is also 260 miles. 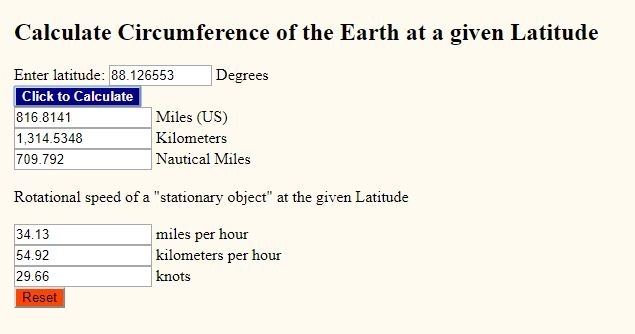 I found online a calculator that will show you the circumference of the earth at a given latitude. However, I know the circumference and want to know the latitude. SO, I worked backwards. I took 260 * pi to get the circumference of the circle. It is 816.8140899 miles. 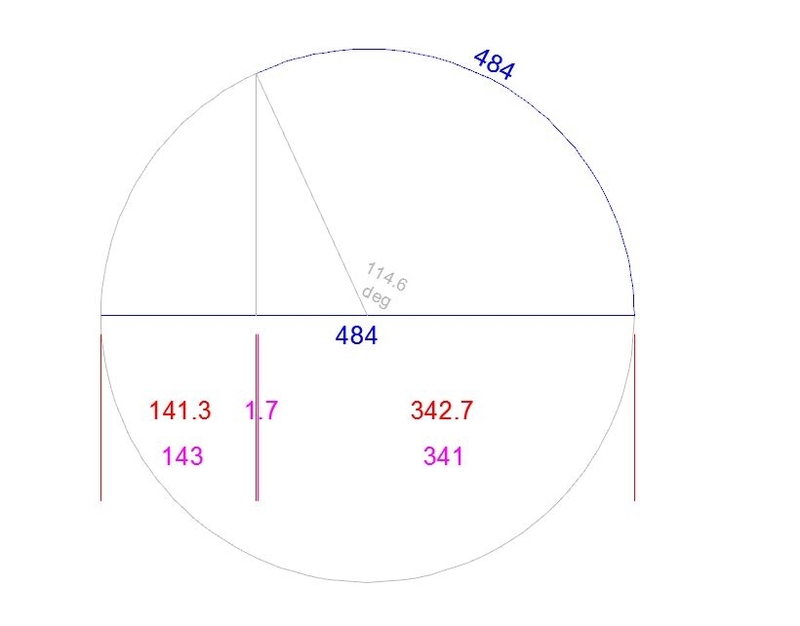 This is also reminiscent of the 1.7 number difference of the 143/341 split when looking at the same radial distance as the diameter of a circle of 484 units. 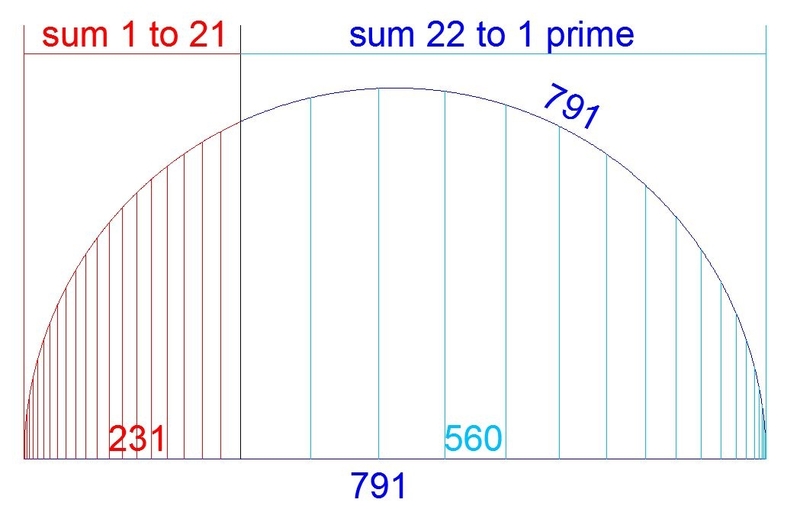 left side is 1 to 21 index sum and right side is 22 to 1 prime sum. I found that I'm right on track and I had an experience today akin to finding a big, shiny gold nugget that EDL hid for me to find. It's the word "LIGHT". It seems very small untasty fruit to most.. but to me it is the most joyous find I've had thus far with EDL's works. I now, this instant, know I'm on surer footing with my works up to this point than I ever have. What is amazing about it too is that I'm confident in saying that NO ONE ELSE ON THIS PLANET could have found this nugget without putting in the sweat of investigation I've done up to this point. I'm not worried about anyone else having found this mathematical pattern in EDL's works... I doubt even EDM found this. I'm not saying this to brag.. but rather to communicate the awe I feel in finally cracking something open after ALL this effort. Another cool side note is I found an answer to another long held question I've had... and sure most others have if they are at all familiar with the works of Edward Leedskalnin. Why did two pages of EDL's Newspaper Advertisement go to such small print? This question is a pay streak leading to the golden nugget of "LIGHT"... though I found from another direction. Appears that "LIGHT" also becomes "FLIGHT". It should be self-explanatory if you just take the time to study it. It's pure math.. simple math. Count the number of printed lines on each page. Then compare with the prime numbers 12 to 18 that ties in with what I posted earlier in this post about the 143/341. It produces the "LIGH"... seemingly of "LIGHT".. leaving a way to find the "T". There's really not much here for anyone to argue with..as it's a logical, mathematical path that I've laid out in this thread that I followed EDL's clues. To me, this shows that not only did EDL understand the ancient PI of 22/7.. but also how it relates to consecutive sums of index and prime numbers. It also shows my understanding of the Index and Prime Edens are also likely spot on in relationship to his Southern wall altars. The 15th and 16th stone altars has a spiral staircase.. and here he flips them to make the "F" and "T". They also align east/west with the moon dial to the North. Not only did this pure mathematical logic lead to a CIPHER, it also likely will lead to a reorder of the pages to serve further unknown purposes and understandings of his works. The stuff here is pure genius that he even knew this and then built a cipher on the top of it... and only who knows what else. 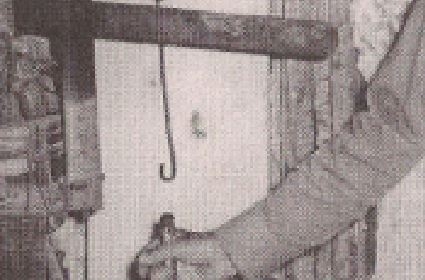 It might be a clue to the relationship of the ends of the "ruler" to the center where the pic is located and his "flywheel".